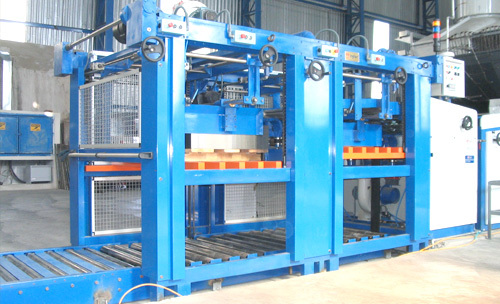 Stacker sheets machine for uninterrupted operation by means of alternative change among the two stations of stacking. There is the option to transport the sheets for the upper side by means of electromagnets and deceleration and break of the belt conveyors by means of servo-motor, to reduce any damage on the sheets. Reduction of noises and increased the speed of production.